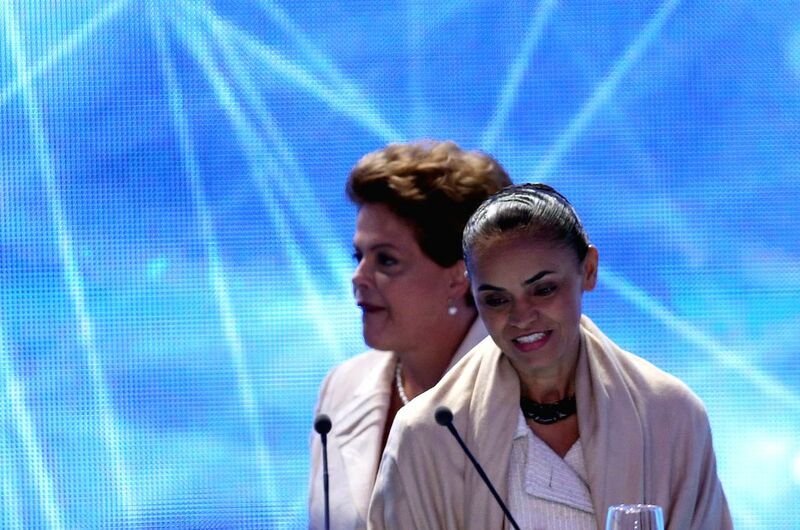 SAO PAULO, Aug. 27, 2014 - Brazil's President and presidential candidate of the Worker's Party Dilma Rousseff (Back) and presidential candidate of the Brazilian Socialist Party Marina Silva attend a TV debate in Sao Paulo Aug. 26, 2014. Brazil will hold presidential election on Oct. 5. 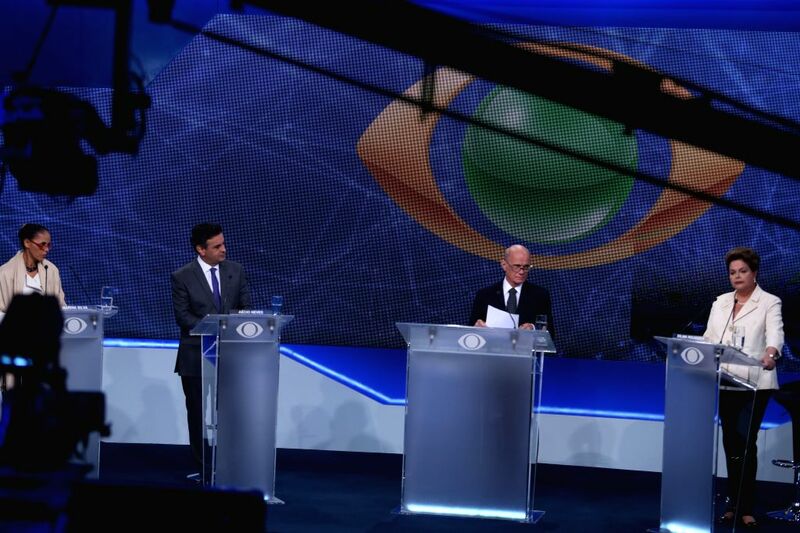 Brazil's President and presidential candidate of the Worker's Party Dilma Rousseff (R), presidential candidate of the Brazilian Socialist Party Marina Silva (L) and presidential candidate of the Brazilian Social Democratic Party Aecio Neves (2nd L) attend a TV debate in Sao Paulo Aug. 26, 2014.